Contact us for details and pictures. LDK 910 production camera with FT-5 sensor exceeds TV system demands with no compromise in performance! BTS, the inventors of smear free Frame Transfer sensor technology once more break the barriers of performance with the high pixel density CCD. Over 20 years of research and development experience has gone into producing a CCD sensor which matches and in many features exceeds tube performance and the demands of established television systems. These high resolution devices with over 800 pixels per line (NTSC) equating over to 700 TVL of resolution, provide clean, quiet pictures of outstanding color fidelity matching international standards. And the increase in sensitivity matching by almost one full stop, a new anti-flare coating and a film-like dynamic range provide total freedom of use in any television environment. To match the performance of this unrivaled sensor. 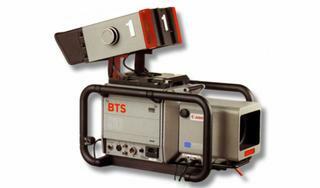 BTS have designed the optimum in processing circuitry with clean artifacts free performance to handle high level signals with film-like transient response.